Getting turned down for a mortgage can be disappointing and leave a person wondering what to do next. And while it may feel like an isolated, personal experience, it’s actually more common than you might think. According to the Federal Reserve, in 2013, approximately 14.5 percent of applications for home mortgages were denied, down from over 18 percent in 2007. Being rejected for a mortgage can be a part of the process, says Richard Verrillo, housing relationship manager for Navicore Solutions, what is important is how you choose to react after it happens. One of the first things to do after you’ve been turned down for a mortgage isunderstand why it happened in the first place. For example, one common reason for mortgage rejection is a high loan-to-value ratio (LTV). Your LTV comes from the loan amount you requested divided by the appraised value of the home. Many lenders limit how high the LTV can be, so if the appraisal comes back too low, your application will likely be rejected, Verrillo says. Another possibility is that your yearly income is too low for the loan amount requested. If you already carry sizeable debt, the lender may doubt your ability to make payments. Verrillo also says that having credit issues or a lack of credit history is a common reason for mortgage rejections. Many lenders have minimum credit score requirements that could rule you out right away. “Whenever someone does get denied, they do have the right to know the reason,” Verrillo says. You will typically receive a letter in the mail outlining the general reason for your rejection. However, speaking directly with the lender can help you understand the specifics of your situation. Once you know the reason you can take the appropriate steps. If you applied through a bank or private lender, consider a government-backed mortgage. 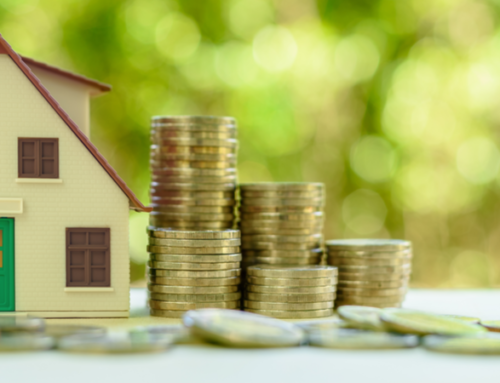 For example, an FHA loan, insured by the Federal Housing Administration, can offer better financing options than traditional mortgages, such as a 3.5 percent down payment and a much higher limit for LTVs. Details like these can make it easier to secure a mortgage, but be aware of what else comes with different loan types. FHA loans require borrowers to purchase mortgage insurance to protect the government against default. If these added costs push your payments past what you can afford, it may not be your best option. After an experience with mortgage rejection, you might not be thrilled to go back to the same lender and try again. The good news is that you can work with another lender if you’d like. Each lender can have different requirements, according to Verrillo, so you should always shop around. While one lender might reject you, you may be able to find another that will accept the same application. If your mortgage was rejected due to your credit history, ordering your credit report (each year, you can request one free copy of your credit report from each of the three CRAs) and inspecting it can be a great idea. Doing so can show you how your credit behavior appears to lenders. There are many factors that can affect your credit score and your image as a borrower. Your lender likely has a minimum credit score requirement that you may not have met. You may need to improve your credit behavior, which can take time, according to Verrillo. The good news is that when you apply again, a cleaner credit file can bring many benefits to you, such as a lower mortgage rate. Another option may be to enlist the help of a cosigner. A cosigner is someone who applies for the mortgage with you and is just as responsible as you are for the contract, though he or she may not actually live in the house with you. If the lender views your cosigner as an attractive borrower, it could help you secure a mortgage. The trouble with using a cosigner can come from the financial situation of the person you’ve chosen to be your cosigner, according to Verrillo. For example, your cosigner may already have a mortgage, making another 30-year commitment too much of a burden. A mortgage rejection might feel like the end of the world, but it doesn’t have to be. Educate yourself on why it happened and take the appropriate steps to become a more attractive borrower. That way you may be able to make your dream of owning a home into reality. lyce Glink is the author of over a dozen books, including the bestselling 100 Questions Every First-Time Home Buyer Should Ask and Buy, Close, Move In! Her nationally syndicated column, “Real Estate Matters,” appears in newspapers from coast-to-coast, and her Expert Real Estate Tips YouTube channel has nearly 4 million views. She is the managing editor of the Equifax Finance Blog, publisher of ThinkGlink.com, and owner of digital communications agency Think Glink Media. In addition to her WSB radio show and WGN radio contributions, she is also a frequent guest on National Public Radio. Ilyce is a frequent contributor to Yahoo and CBS News.